Kolkata, March 11 (IANS) Ace golfer Rashid Khan will look to continue his rich vein of form on the circuit when a stellar field featuring leading names take part in the Tata Steel PGTI's inaugural Bengal Open Golf Championship at the Tollygunge Club here from Tuesday. Order of Merit leader Rashid, who bagged the Chittagong Open crown last week with a sizzling nine-under 63 on the final round, will have competition from a rejuvenated Rahil Gangjee who ended his 14-year title drought by winning the Panasonic Open in Osaka last year, followed by the Louis Philippe Cup in Bengaluru. 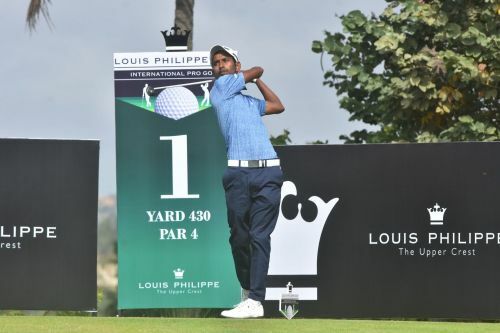 Viraj Madappa, the 20-year old, who became the youngest Indian to win an Asian Tour title in 2018, will also look to create more ripples alongside four-time European Tour winner SSP Chawrasia, Aman Raj, Chiragh Kumar, Udayan Mane and Karandeep Kochhar to name a few. The foreign challenge will be led by the Sri Lankan trio of Anura Rohana, N. Thangaraja and Mithun Perera as well as Bangladesh's Mohammed Zamal Hossain Mollah. "I am happy to be back home. The course looks in great shape. The greens are getting faster and the fairways are as lush as it can be," home boy Gangjee told reporters. Besides Gangjee, Chawrasia and Madappa also call Kolkata their home. There will be a total of 126 golfers taking part. "Coming back home is always a nice feeling. Last year, I only spent a month here. So it's always nice to come and play a golf tournament here. This is where I started golf. having people who I have known as a kid," Madappa said. "The course is very good and is as good as I have ever seen," he added. The city will be hosting a golf meet after a gap of one and half years. The last event was PGTI's year-ending championship, the McLeod Russel Tour Championship, at the Royal Calcutta Golf Club (RCGC). "It's hard to find a sponsor here. We thought initially that it won't be the case but it is. So we cannot have more than one golf tournament annually at the moment in Kolkata," said PGTI CEO Uttam Singh Mundy. Asked whether this event will take place every year, Mundy said: "That is the plan. We wish to do it every year." The 18-hole par-70 four-day Bengal open, which is PGTI's fourth event of the season, will offer a prize purse of Rs 30 lakh. The Pro Am event will be held on March 16. There will be Official World Golf Ranking (OWGR) points on offer, as it has been for all PGTI events since January 2019.